pair it with spec stage 1 clutch? Community Q&A Question: pair it with spec stage 1 clutch? hello people. 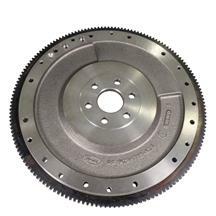 i was wondering if this flywheel would go well with the spec stage 1 clutch? my mustang is a little bit modify. like i got sve aluminum heads, 1.6 rockers. trickflow stage 1 cam. .typhoon upper and lower intake, headers, 24lbs injectors, bbk cold air intake, 70mm throttle body 4.10 gears. a brand new t5 that has not been installed do to the fact that i need a flywheel and clutch. a supercharger is next after i am done with all this set up. Please shoot me some advice, some combos, i want to get all this finished so i can take my car for a dyno tune. i really appreciate your input. Yes, this flywheel will work great with the Spec Stage 1 clutch.